Facebook is undoubtedly the most widely used social networking site. Initially, it began with the idea of creating personal profiles for staying in touch with your friends and family. But today it has emerged as the first choice for the advertisers to reach to their audience. It is the ideal place for the advertisers to attract the potential customers. 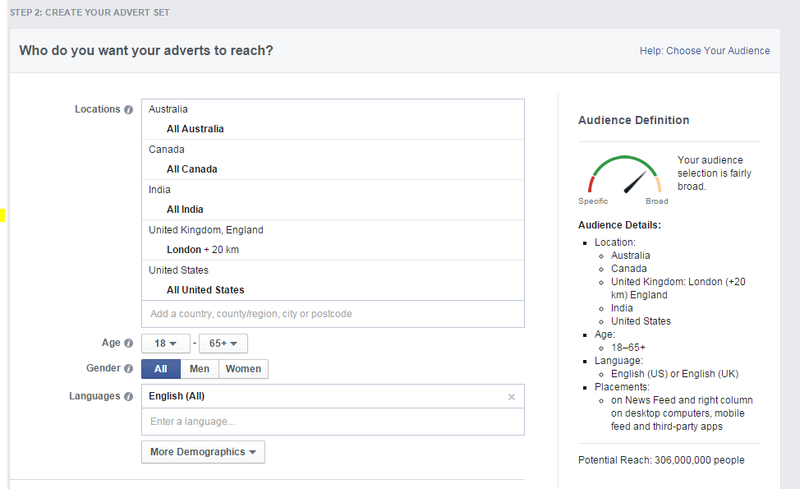 So what makes Facebook different from other advertising platforms is its accuracy in getting the desired audience. 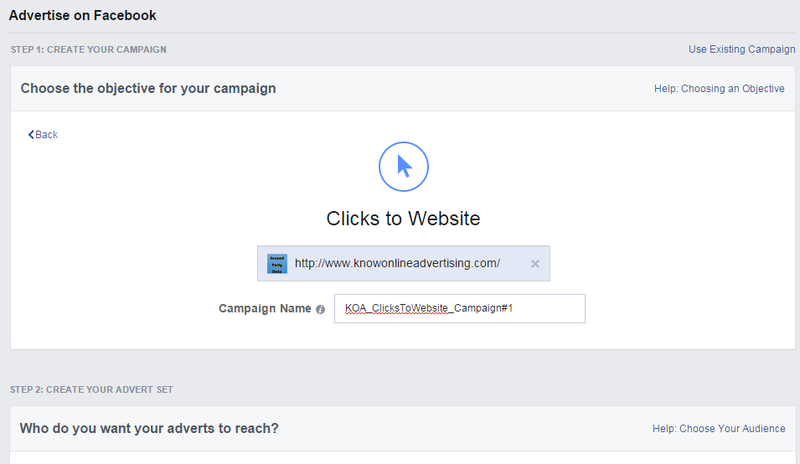 As per the survey from Facebook, the success rate of ad campaigns run on Facebook is more than 90%. 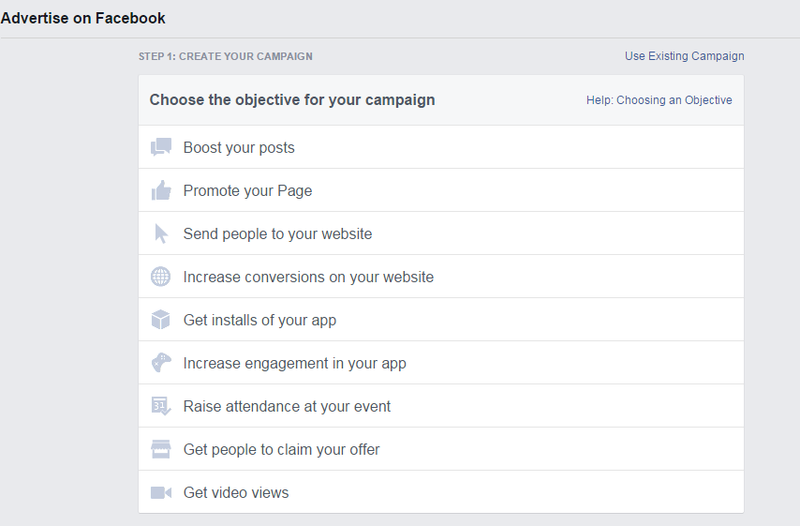 Facebook offers variety of advertising methods but to achieve desired result is to clearly understand the objective of the campaign. While designing the add, every action must be taken keeping in mind the objective of the campaign. Create your Facebook profile that contains your personal details. Business page needs to be created. In the business page we need to provide the details of the kind of business, whether it’s a brand or product that we want to sell, a new company or organization or it is for some social cause or community. These details would enable to audience to know more about your business and through this they might decide to engage themselves with the business. 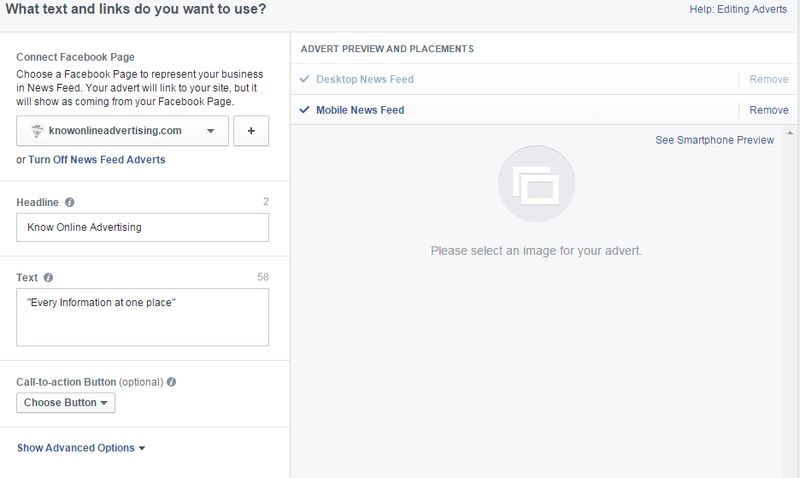 Advertising on the business page :There are two different options for creating Facebook advertisements — the Facebook ads creator and the Power Editor. Power Editor is the tool with some advanced features as compared to Facebook ads creator. 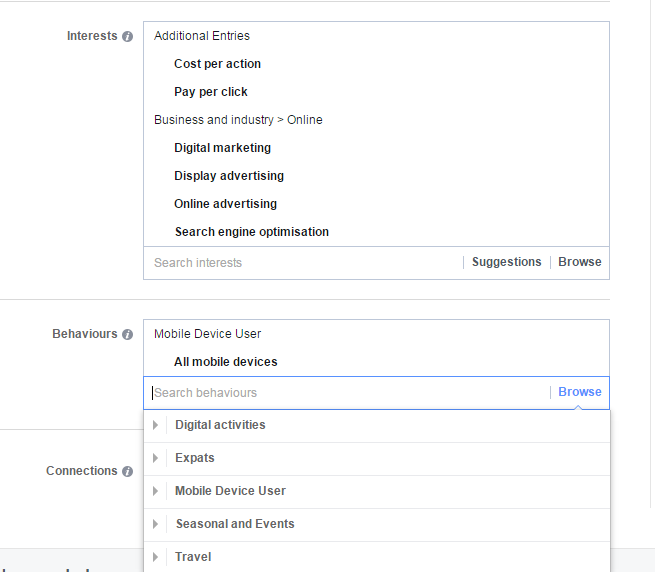 Step 1: Select Create Adverts options. 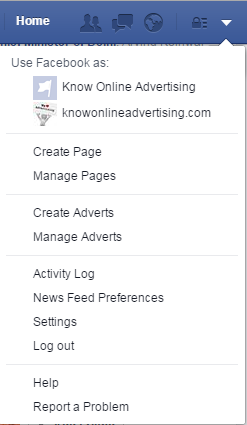 From the main menu of Facebook home page, open the drop down list and select Create Adverts. Step 2: Choose the Objective for the Campaign. Choosing the Objective of the campaign is probably the most crucial step. 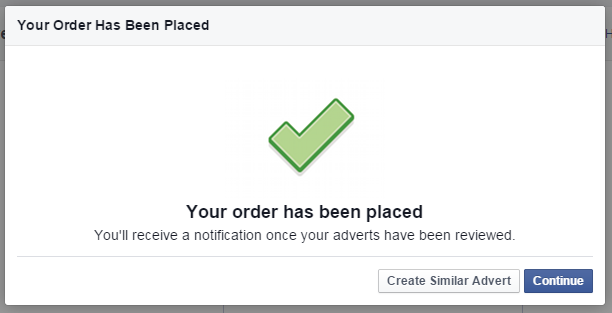 Every ad on Facebook has specific goal to achieve. 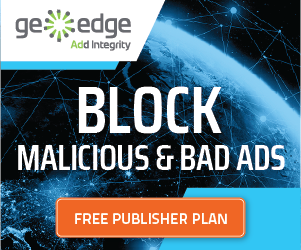 Some ads are created to get more likes, some with the goal of redirecting the audience to other website , some with the motive of requiring call for action from the user. Website Conversions: Get people to perform certain actions on your site. We will have to provide the URL of the website for which the campaign is designed. There are few more Demographics options provided by Facebook. 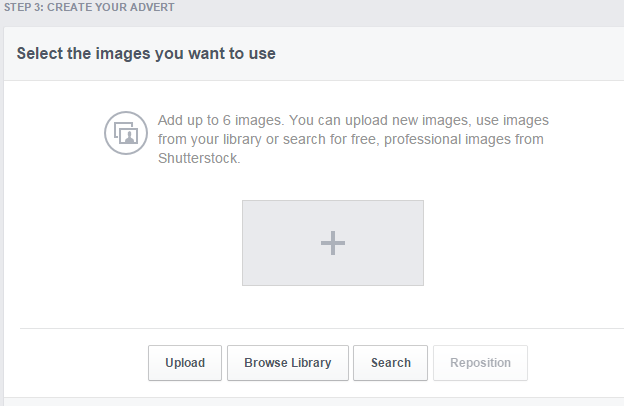 Interest: We can reach people based on their interest focusing on the what pages they have liked , what kind of post they have posted on the wall. Behavior: People can be reached based on their browsing behavior especially on the bases of devices they access , places traveled , events participated etc. Connections: We can reach people who have specific connection to our page. After setting up the campaign, the next important step is to decide the Budget. 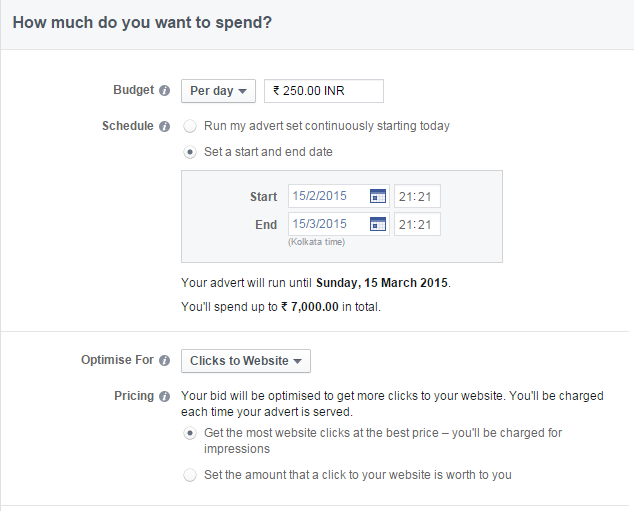 “Ad-Set” is where the budget for the campaign can be declared and one can estimate how and when to spend. A budget can be set on a daily or lifetime basis, and advertisers can also choose to pick their own advertisement start and end dates. Budget: We can be set on per day basis or we can set lifetime budget till we run the campaign. Schedule: We can set start and end date for the campaign or we can select the option to start the campaign immediately but in that scenario one has to manually stop the campaign. Optimise for: We can optimize the advert depending on the objective of the campaign, for example CPC ,CPM. Step 6 : Set the image for the campaign. !! CONTACT US FOR DETAILED TRAINING ! !